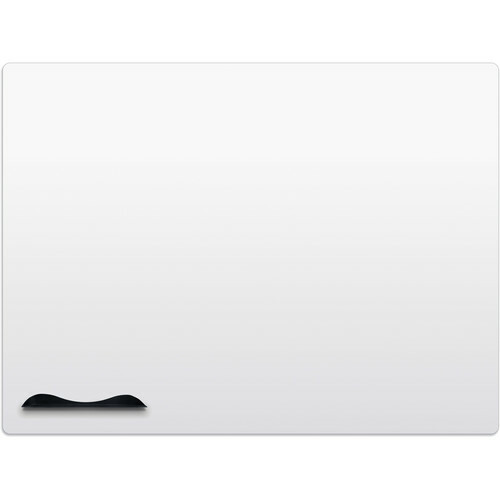 The 2 x 3' Elemental Whiteboard from Best Rite is a frameless, minimalist magnetic dry erase projection board with a glossy off-white finish that is designed to be used in cubicles, offices, or personal work spaces. It features rounded corners to add style and eliminate sharp corners. It is made from porcelain-coated steel alloy with a high aluminum content for flexibility. When unrolled, the lightweight surface lays flat and stays flat, and features a self-adhesive backing for easy installation.